TriumphTR7.com is the homesite of TRisha TR - a 1976 Speke built FHC - owned by me since June 1990. You'll find plenty of info around this site regarding her restorations, so I'll not go into any details here. This website is funded out of my own pocket and is updated (as frequently as possible) in my own time. TriumphTR7.com is not affiliated to any club though I am a member of the TR Drivers Club and Club Triumph. This website generates no income (maybe that'll change though one day!) and I am not a professional web designer/programmer - which you may have picked up on! 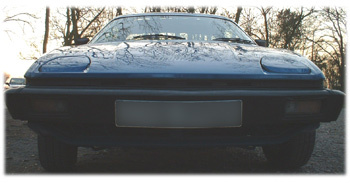 The idea behind TriumphTR7.com is to promote interest in the last of the TR range of cars from Triumph, and to try and help other owners/enthusiasts. The inclusion of the forum is a way of fostering a sense of community across the globe. Based in the UK it is not always easy to know what is happening in the TR world as a whole so it's up to you to help out with news and information! 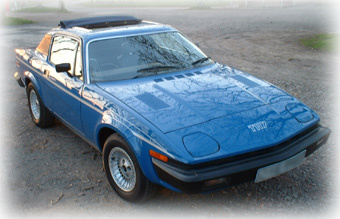 There will be no club launched on the back of TriumphTR7.com - there's plenty of those already out there and, lets be honest, it's a whole heap of work which I can well do without. Any comments regarding the site whether it's critism or thanks are always welcome through either the feedback form or e-mail. I endeavour to reply to e-mails within 48hrs but this isn't always possible (I do go on vacations every now and then!! ), if you think I've forgotten then drop me a reminder! In the past, through this website, I've been able to help someone get their TR7 to a specialist in Barcelona... he'd broken down on route from London to Morocco!! And it's always nice to hear from owners in places like Columbia, Argentina and those closer to home such as Malta and Cyprus, I'm not going to list all the nations as that'd take too long! Wherever you have surfed in from I hope you enjoy the site, will keep checking for updates and maybe send me some information about your car! Thanks to all who've donated images and articles thus far, and for those in the UK maybe I'll see you at a show sometime!